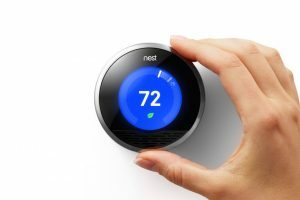 The Nest Thermostat (2nd Generation) is on sale for $199 – that’s $50 off its list price and the lowest we’ve ever seen – through Monday December 1st. Check Compatibility with your system. Turn it up, turn it down. The Nest thermostat remembers what temperatures keep you comfortable and creates a custom schedule for your home. As your life and the seasons change, Nest automatically adapts. 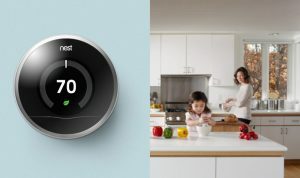 The Nest thermostat uses its activity sensors to sense when nobody’s home and turn itself to an energy-saving temperature. Auto-Away works in 90% of homes, even if Nest is in a room you don’t use much. when your home’s humidity allows. features for you, depending on what heating or cooling system you have. Nest knows one size doesn’t fit all. So you tell the Nest thermostat what system you have and System Match will turn on specific features to automatically help you save. The Nest Leaf appears when you turn the Nest thermostat to a temperature that will save energy. It guides you in the right direction. See exactly when your system was on with Energy History, then get a summary of your entire month’s energy use with the Nest Energy Report. The more you know, the more you can save.